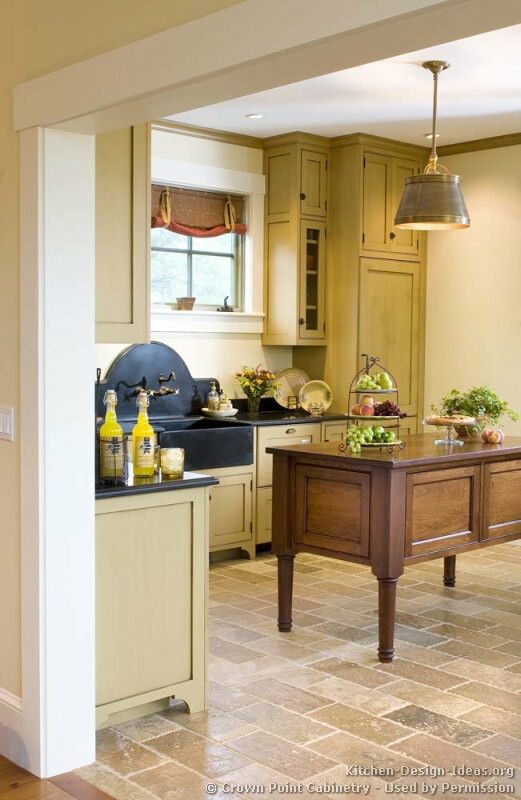 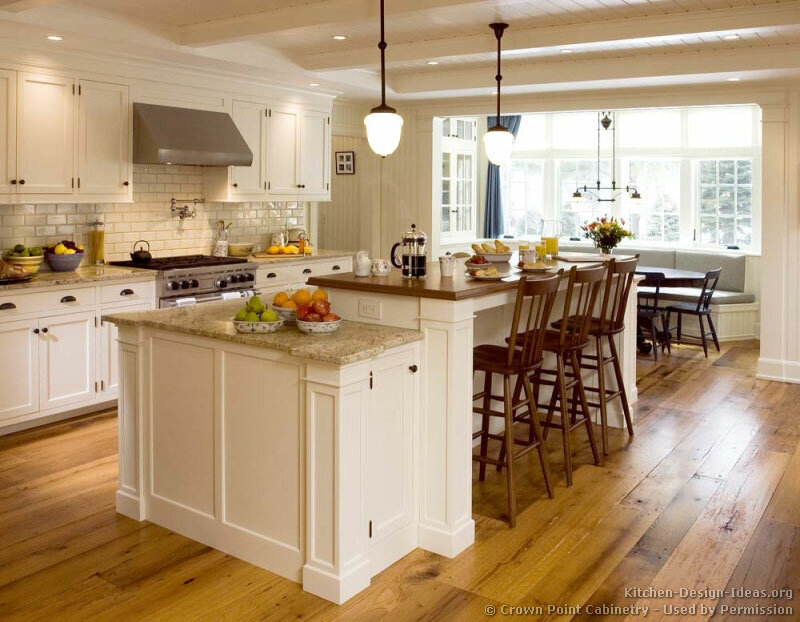 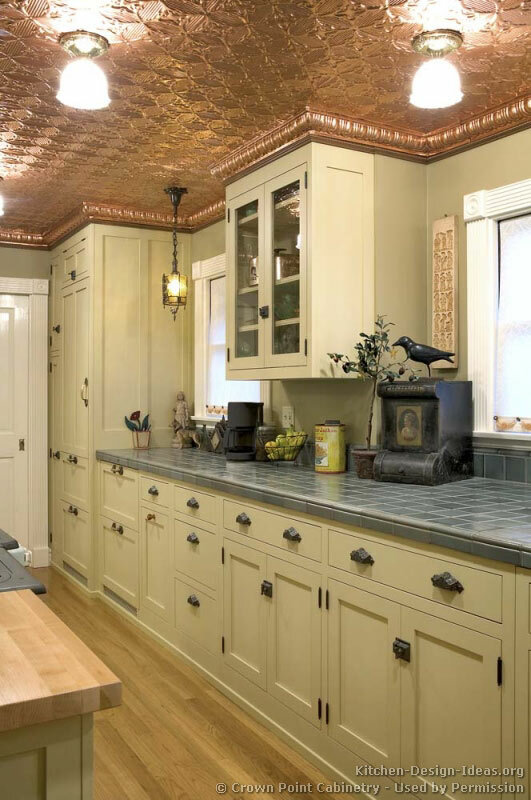 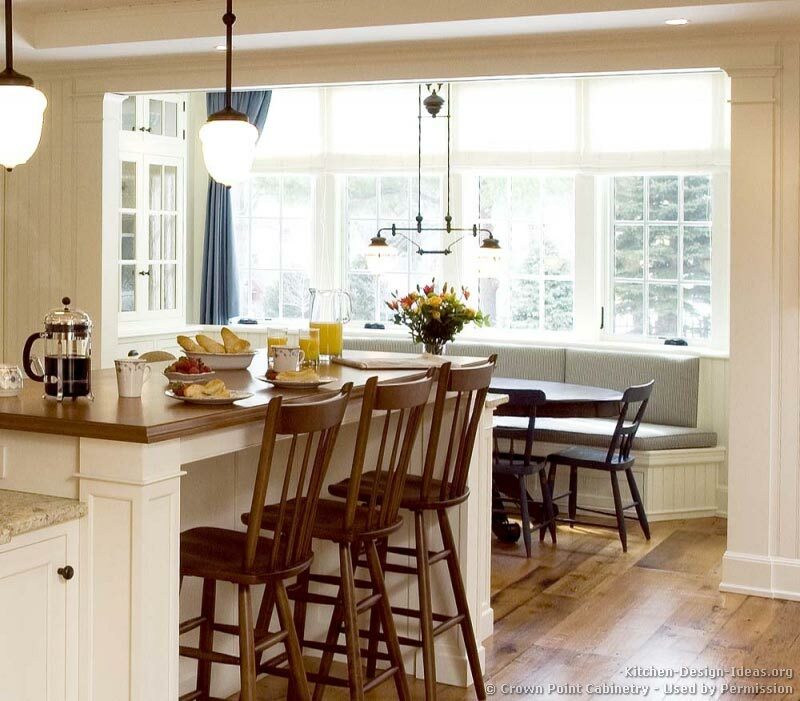 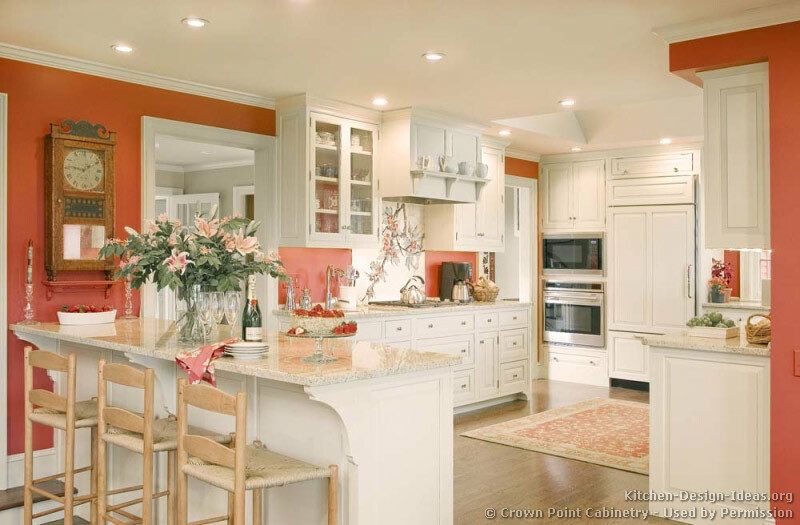 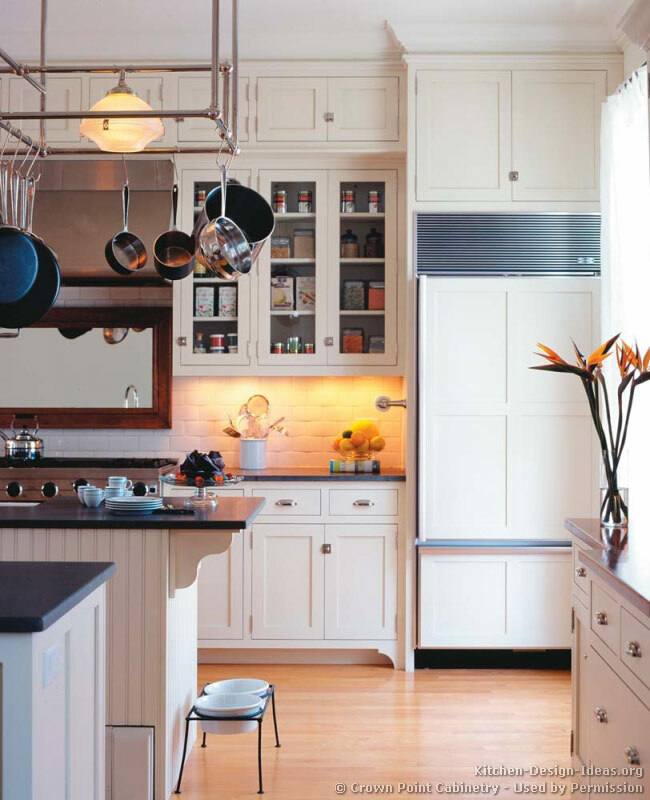 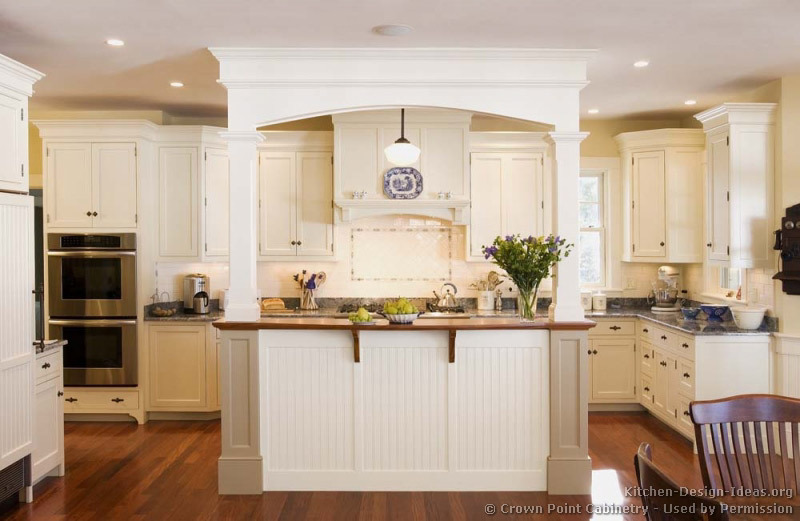 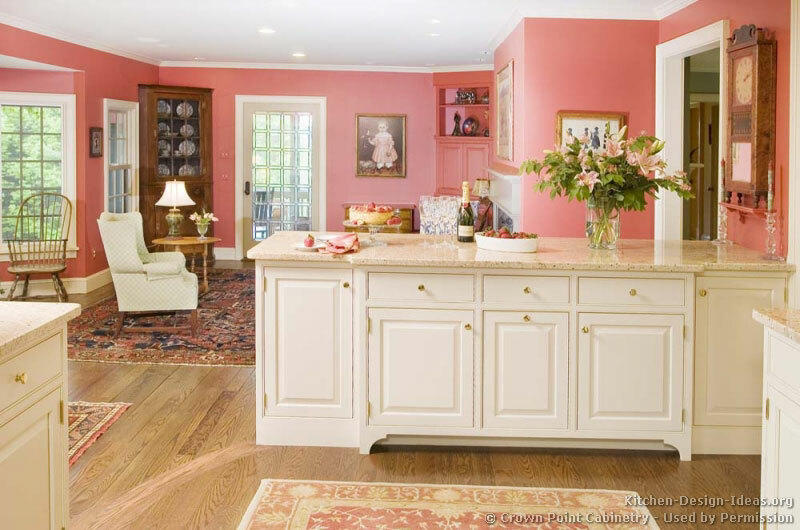 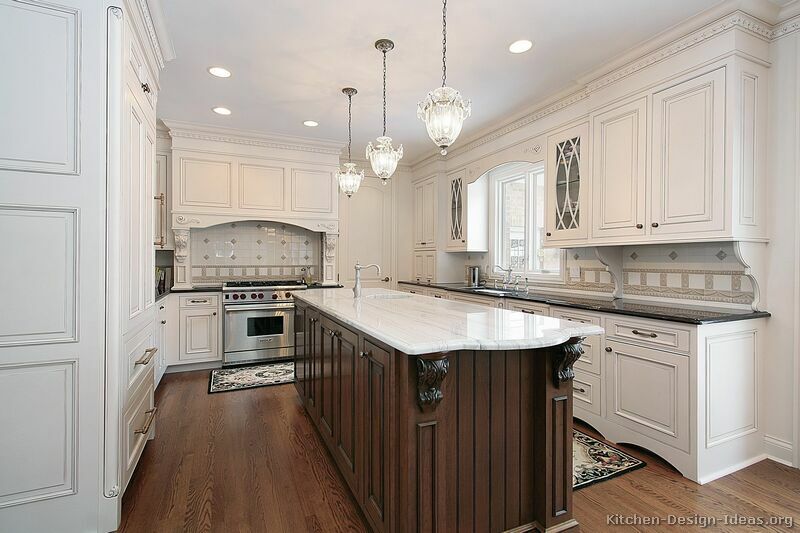 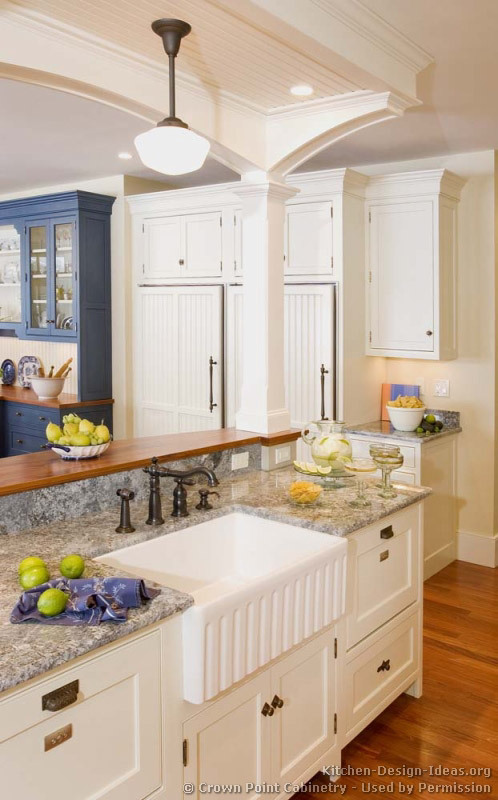 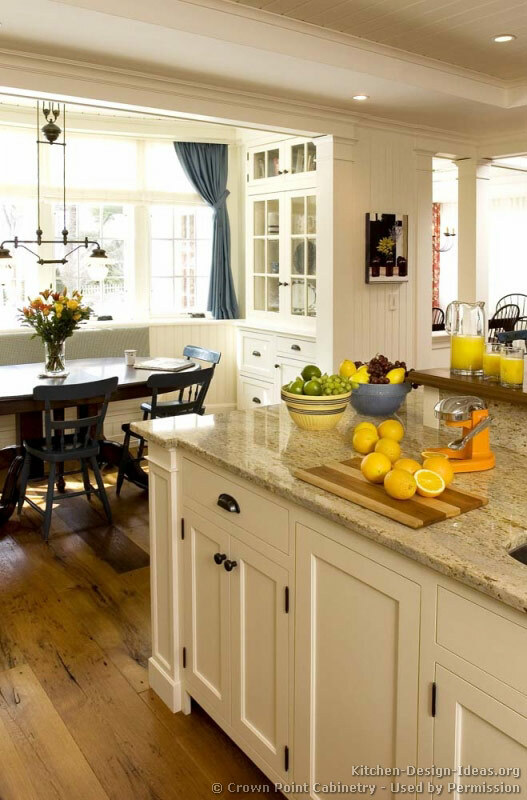 Historical Remodel: While today's large, open kitchens bear little in resemblance to cooking quarters of 19th century England, one can still tap into the historic beauty and flair of a Victorian style kitchen. 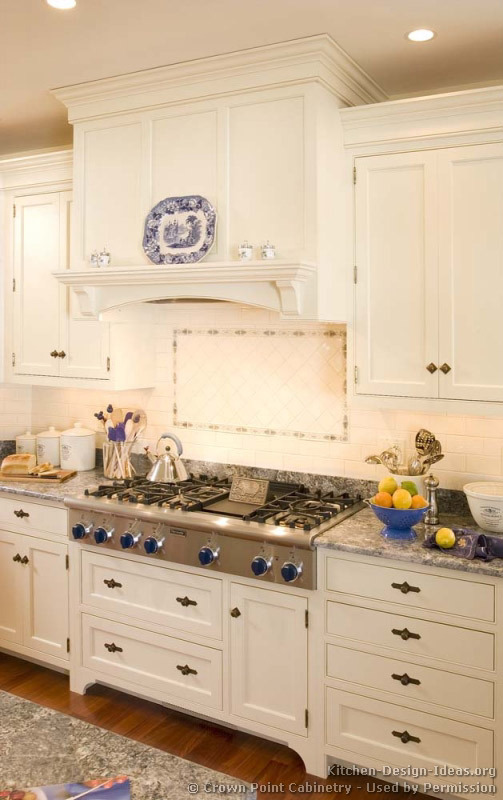 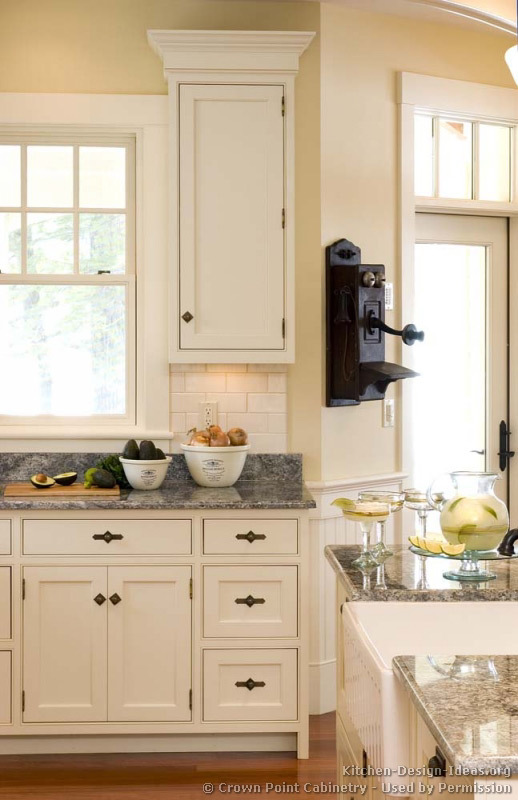 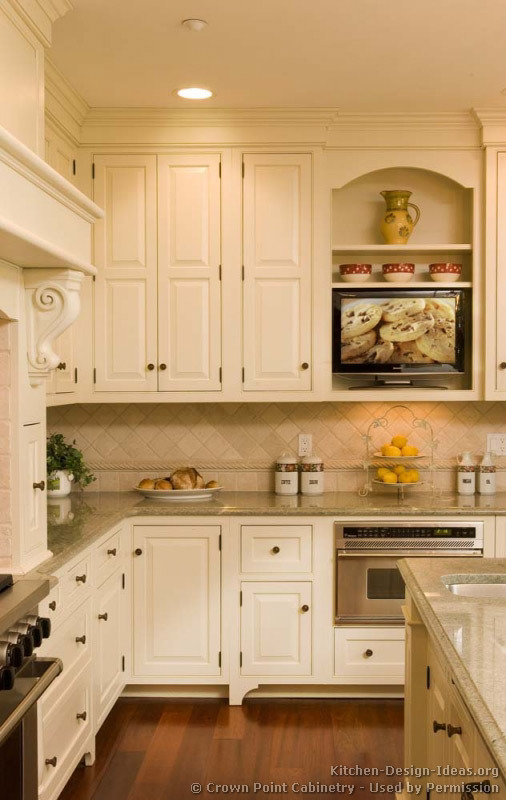 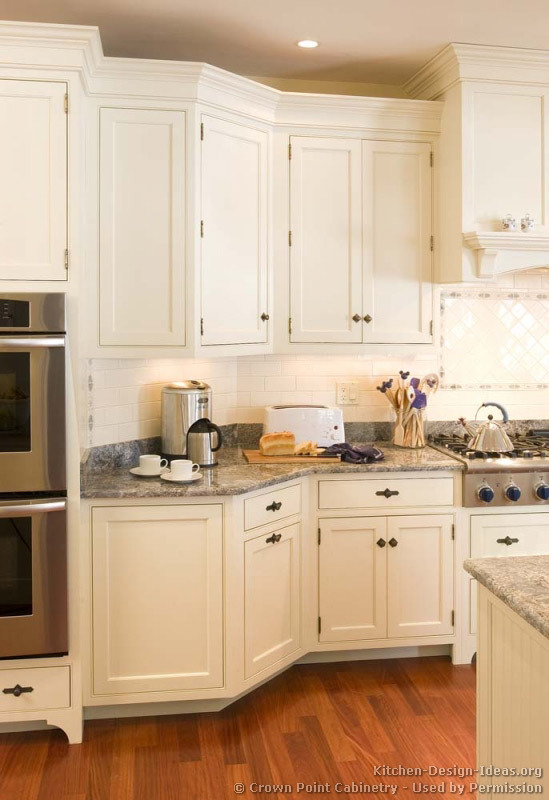 With proper planning and execution, you can achieve a beautiful Victorian kitchen design that is both practical and picture-perfect, fit for the kings and queens of your house. 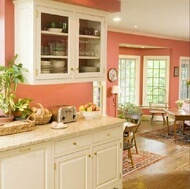 Choosing the Mood: Many Victorian homes have a formal, almost somber appearance, indicating a sense of royalty, wealth, and weight. 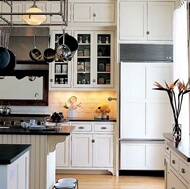 Dark oil finishes and heavy proportions resembling Gothic and empire styles can contribute to this mood. 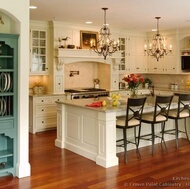 Victorian colors are often rich earth tones like deep reds, greens, blues, purples, and browns. 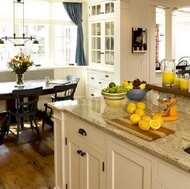 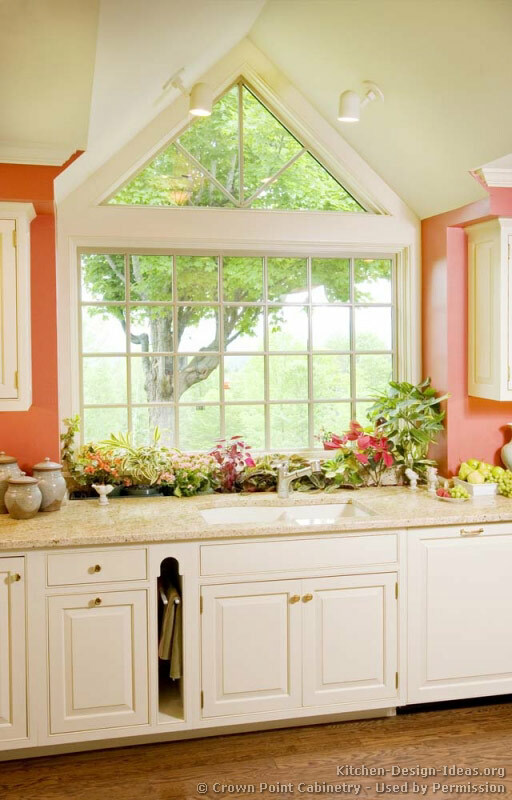 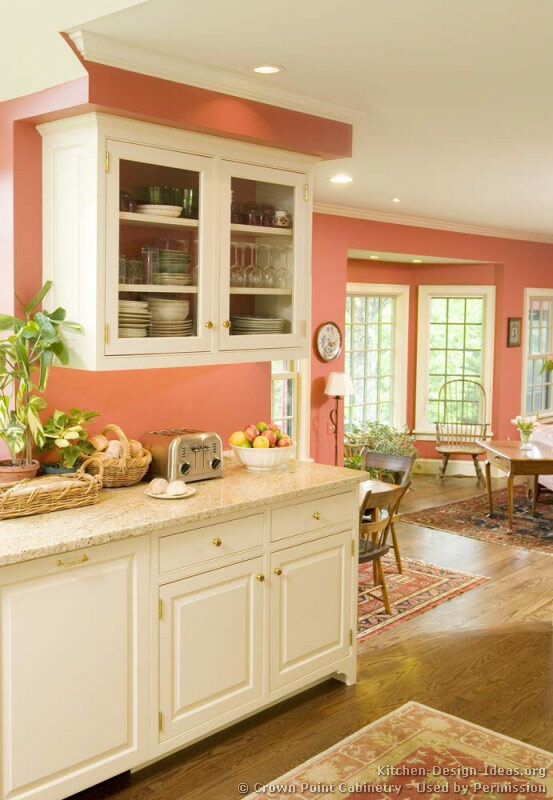 On the other hand, by using a brighter color palette, you can introduce a more comfortable, "English country" feel to the kitchen with less formality. 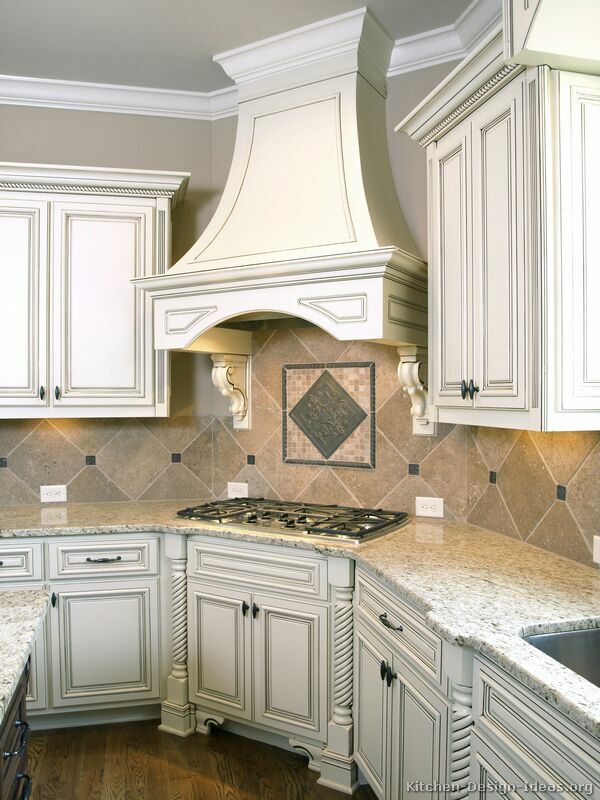 The mood is entirely up to you. 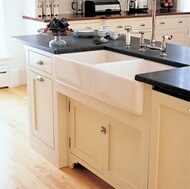 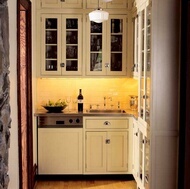 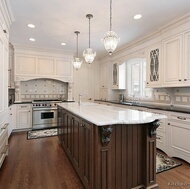 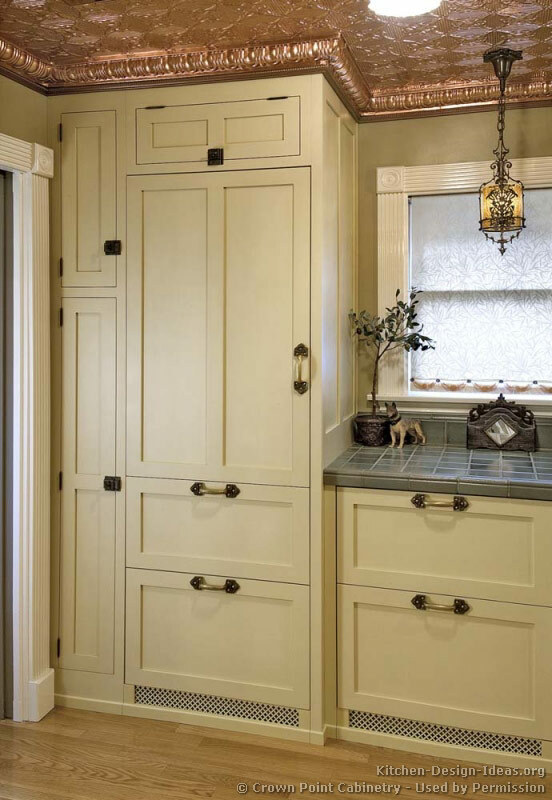 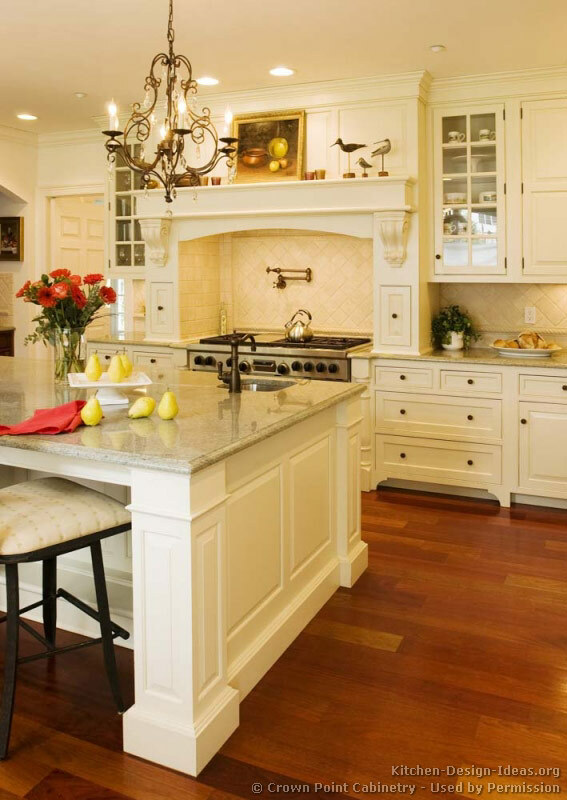 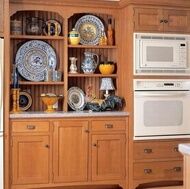 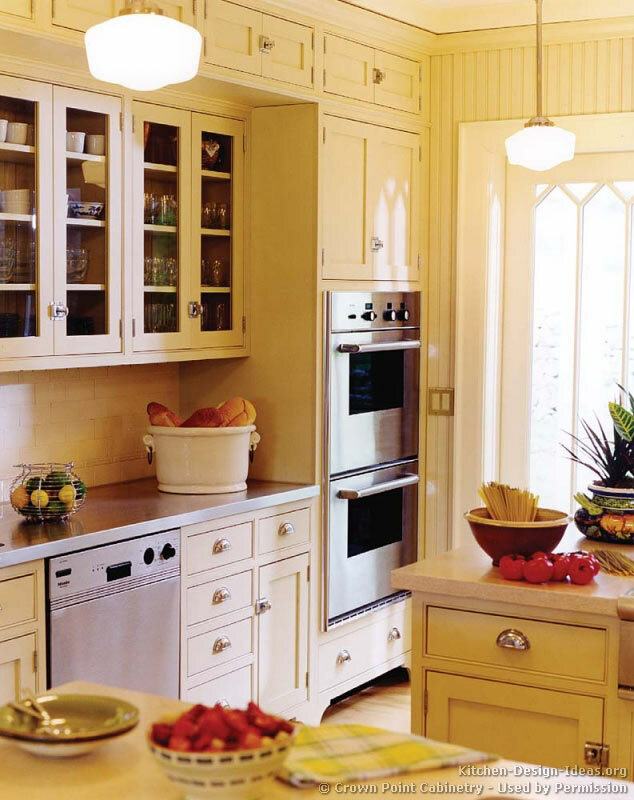 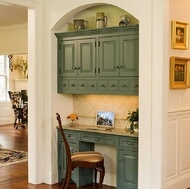 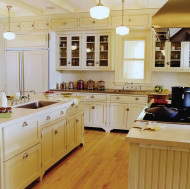 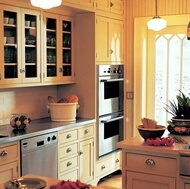 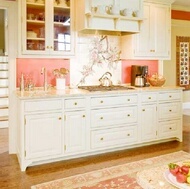 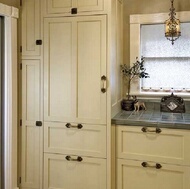 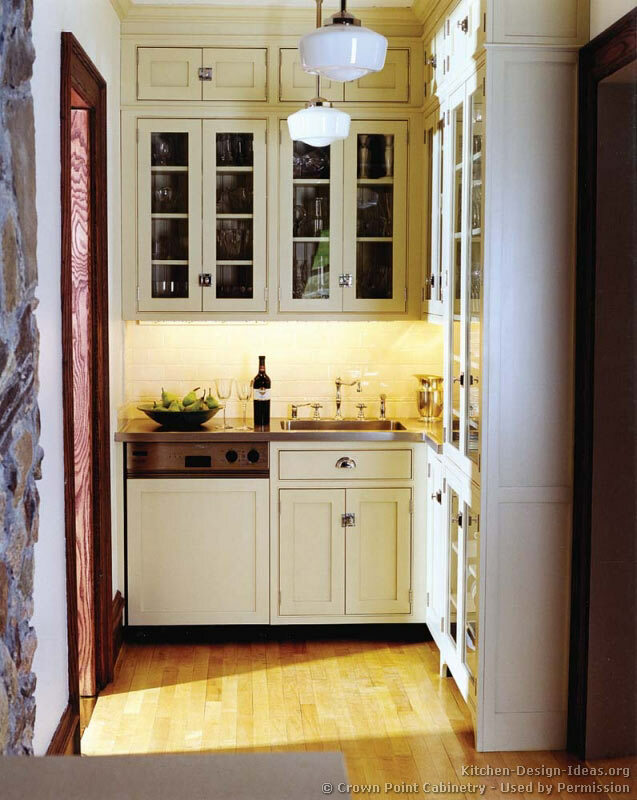 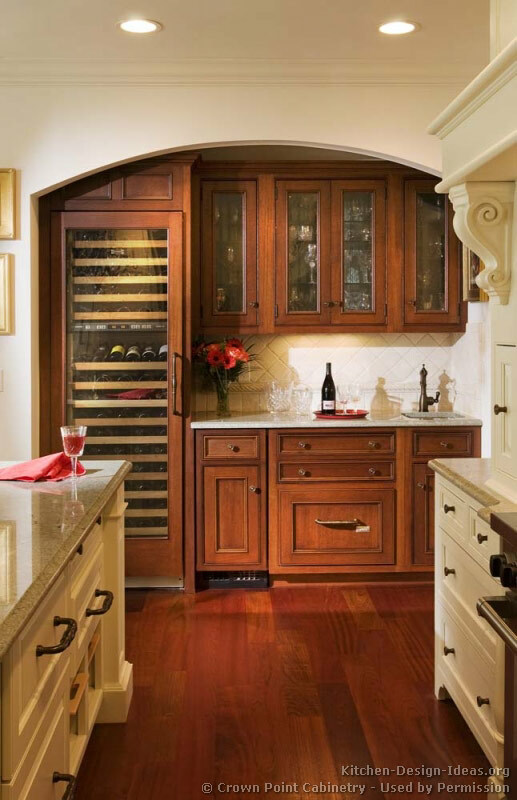 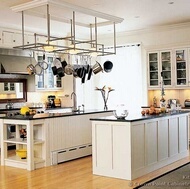 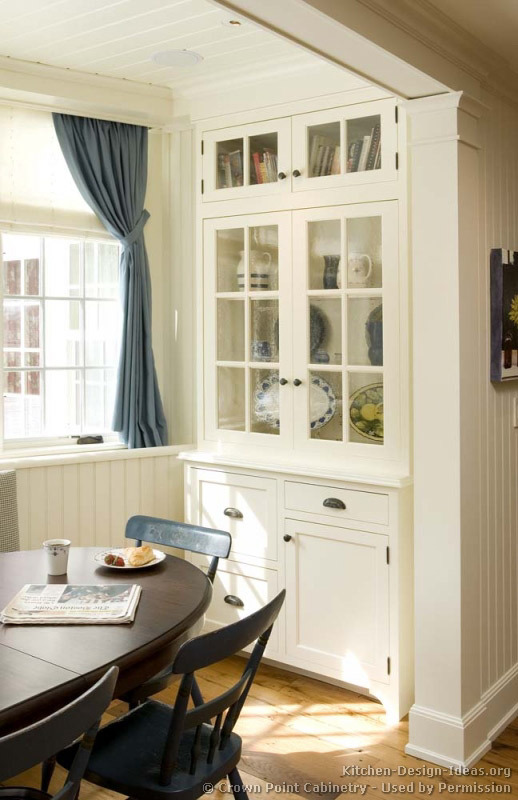 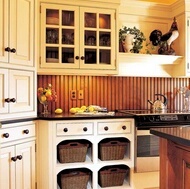 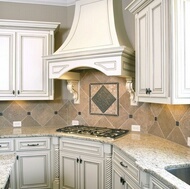 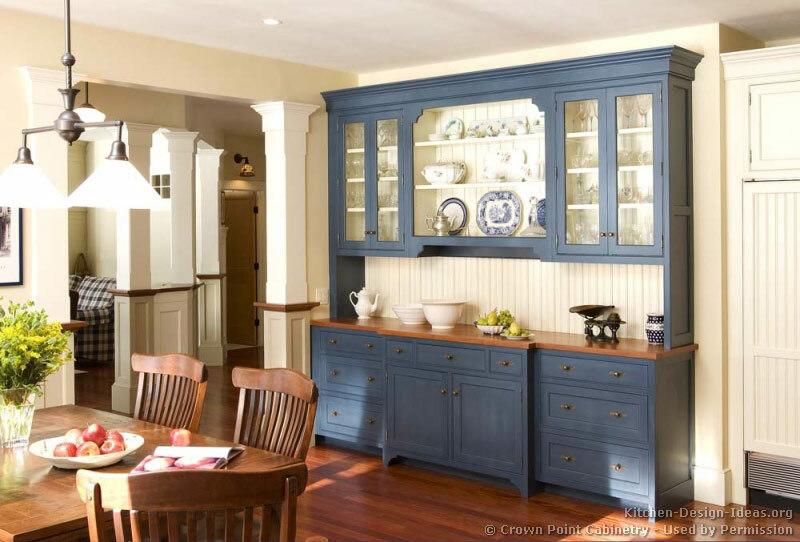 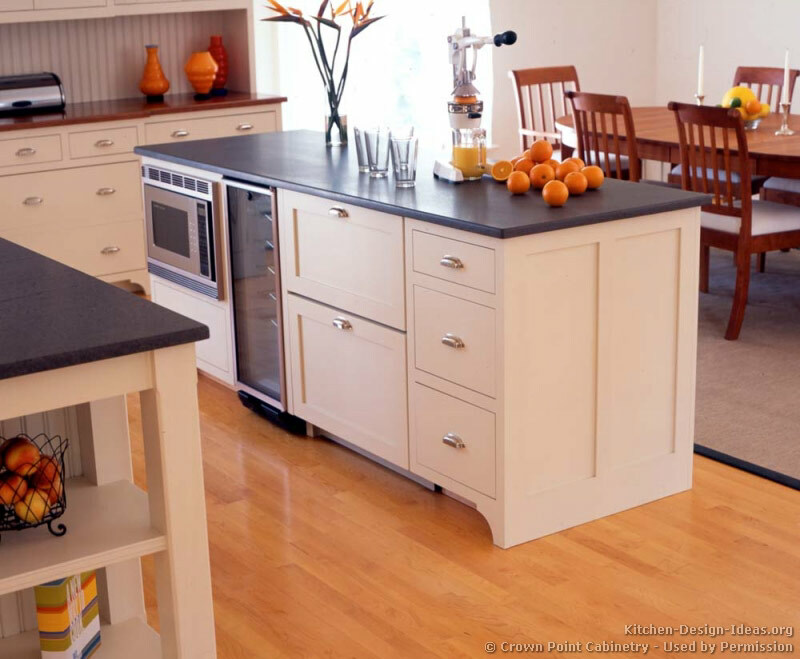 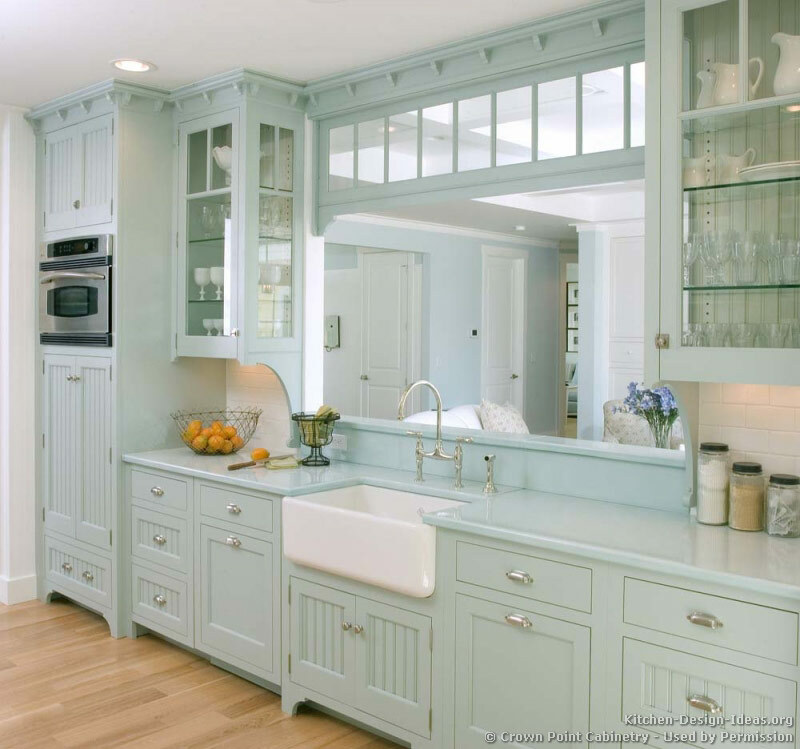 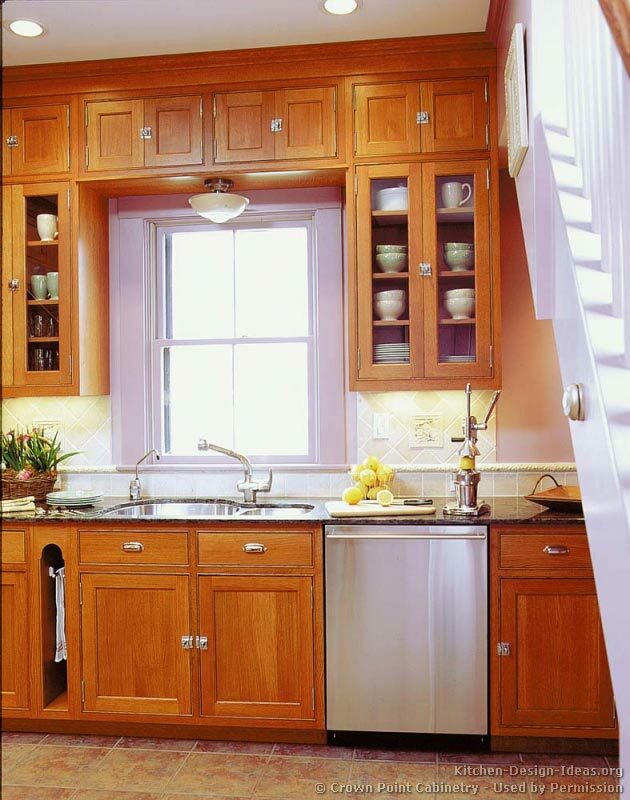 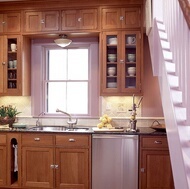 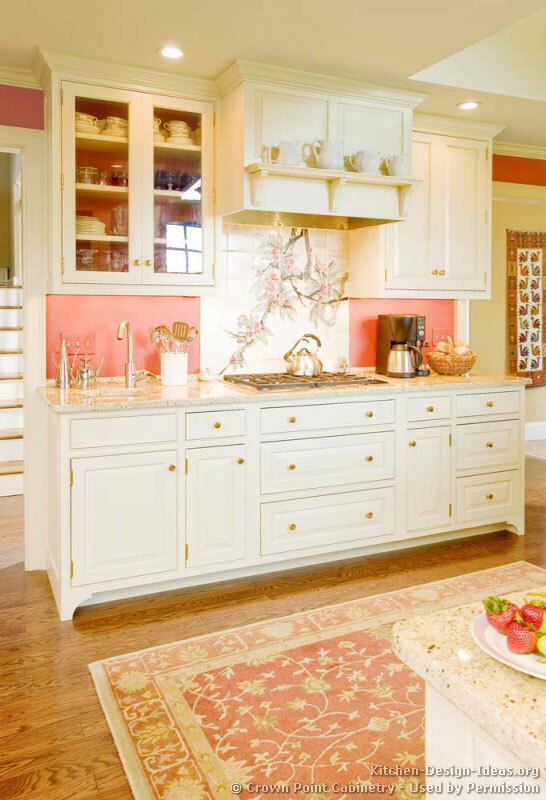 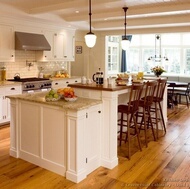 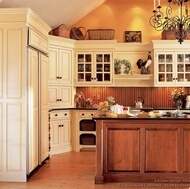 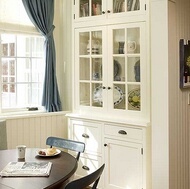 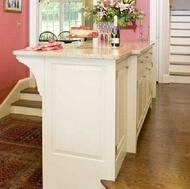 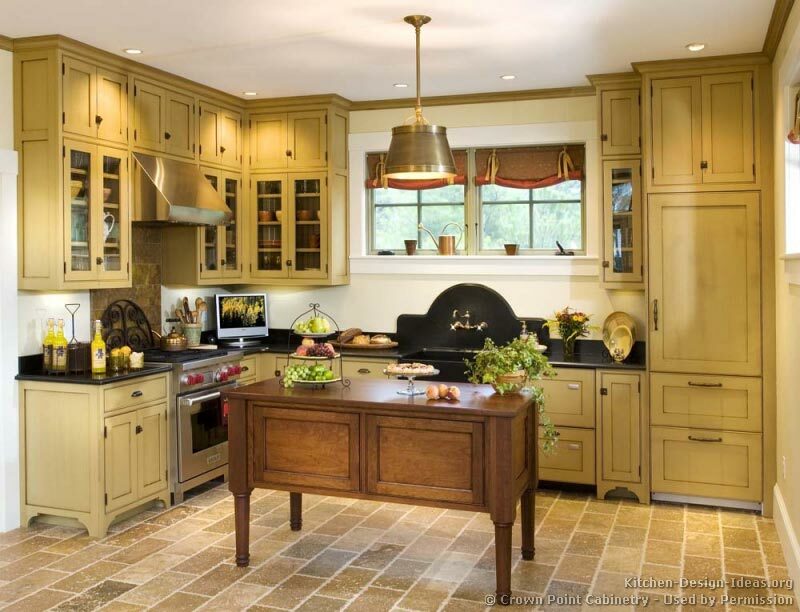 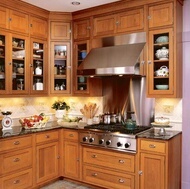 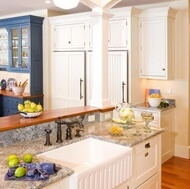 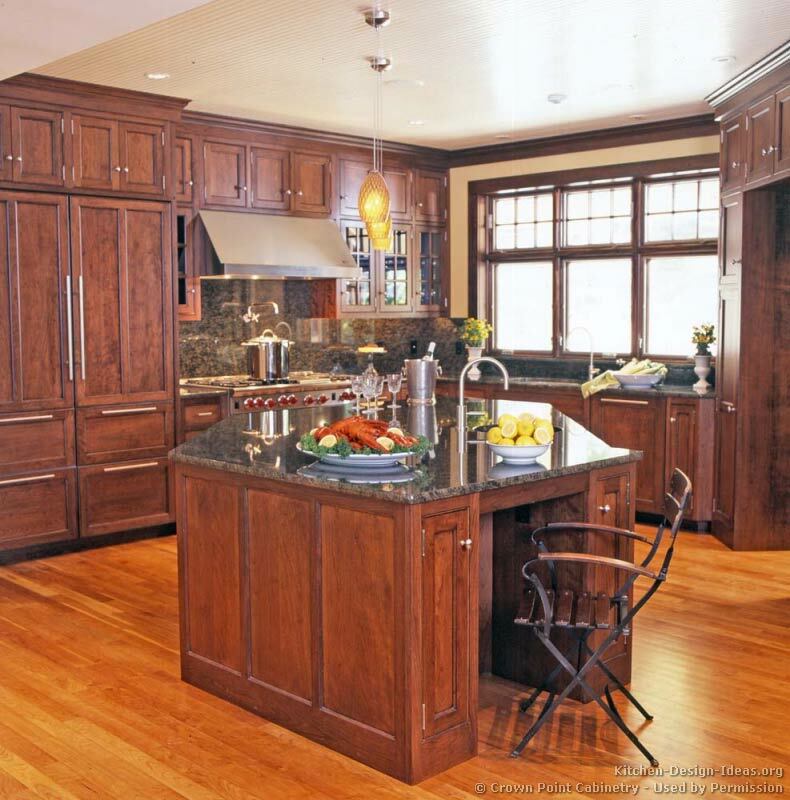 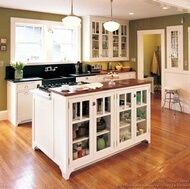 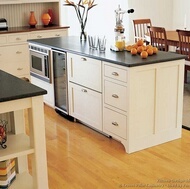 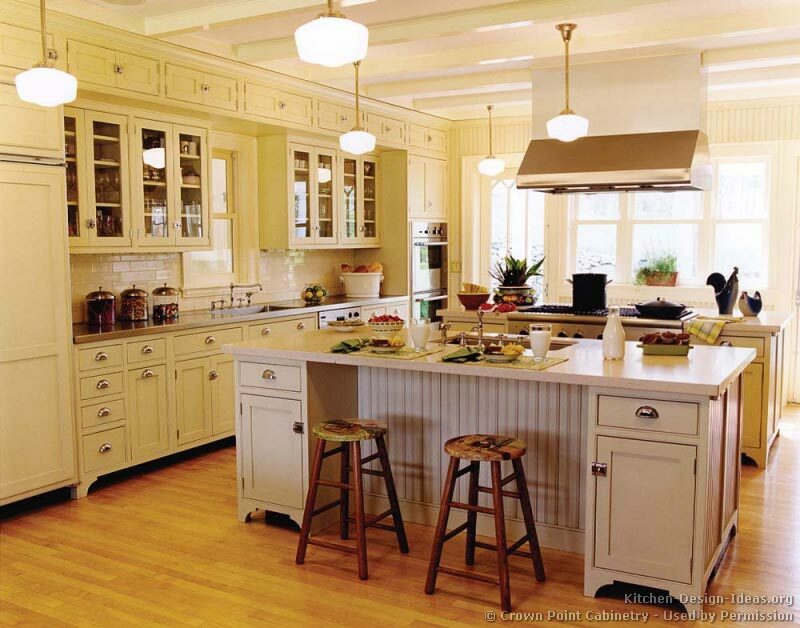 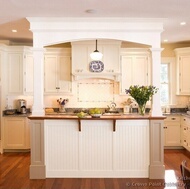 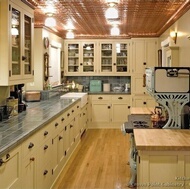 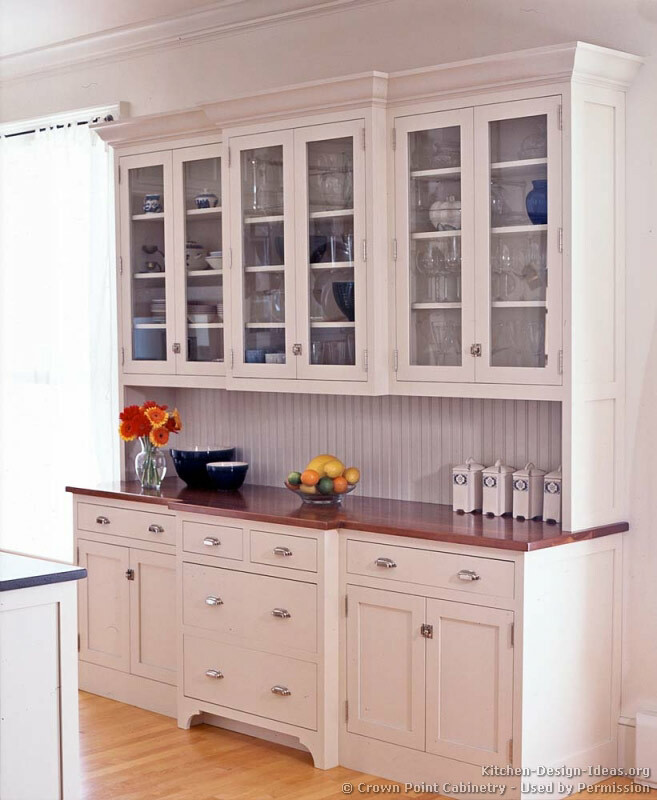 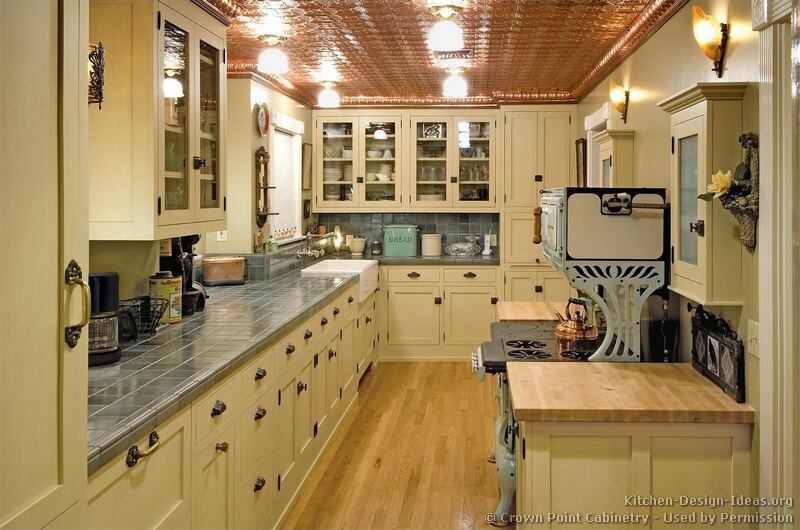 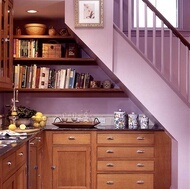 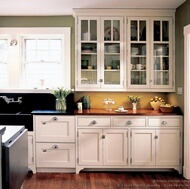 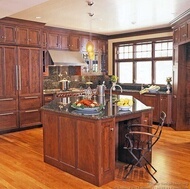 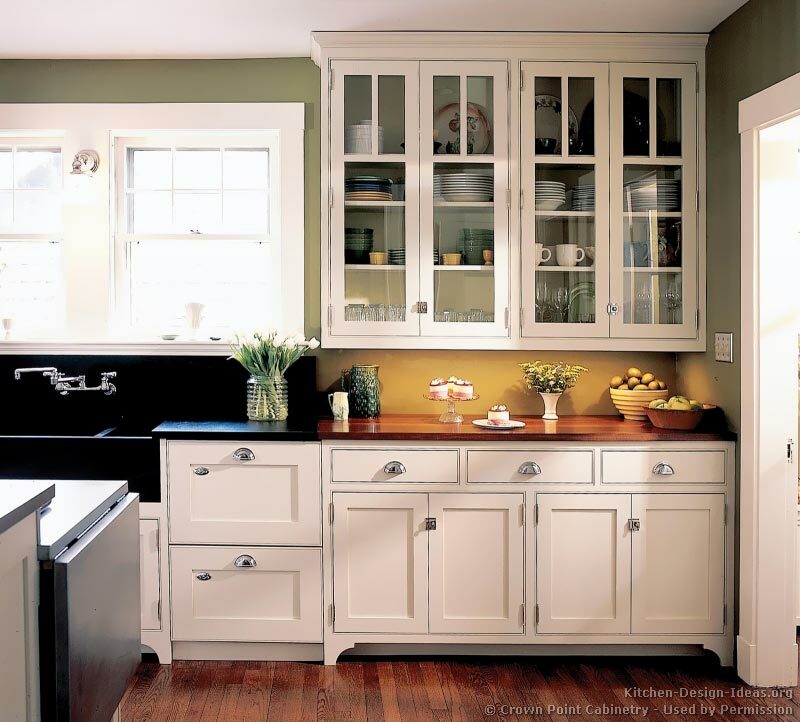 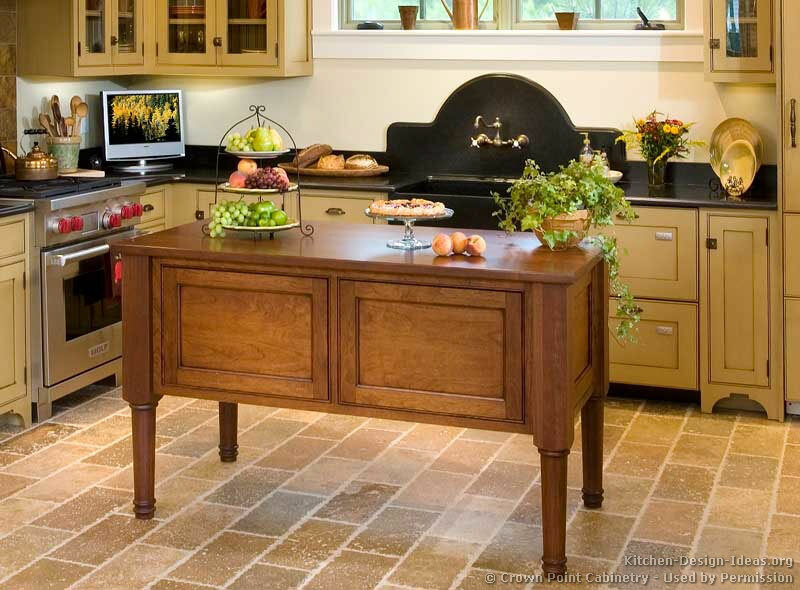 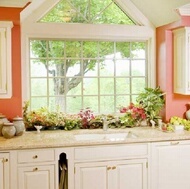 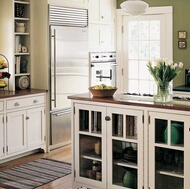 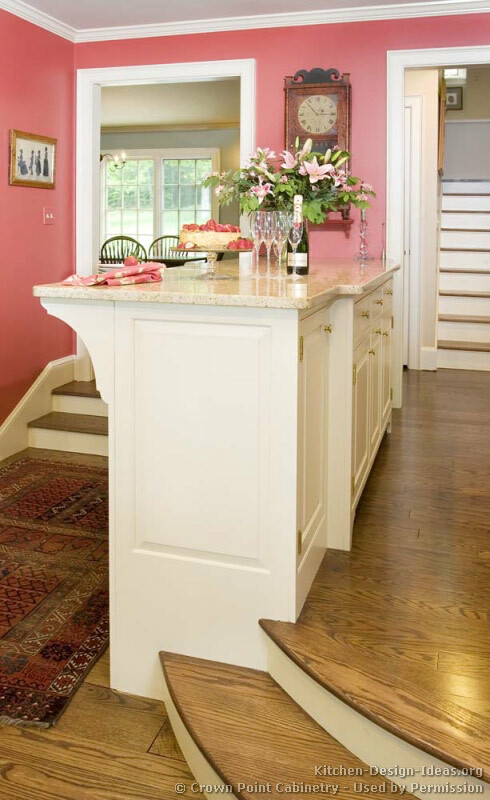 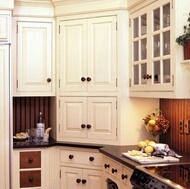 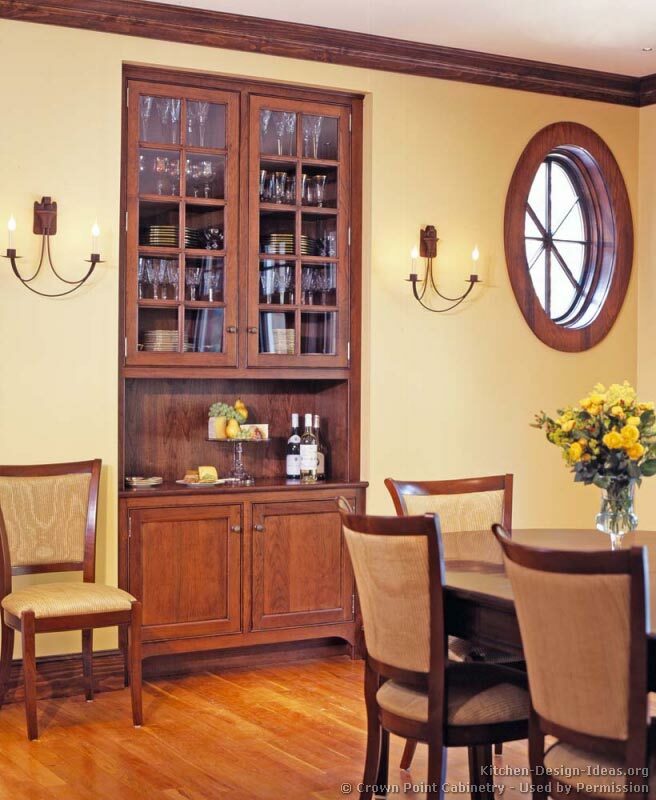 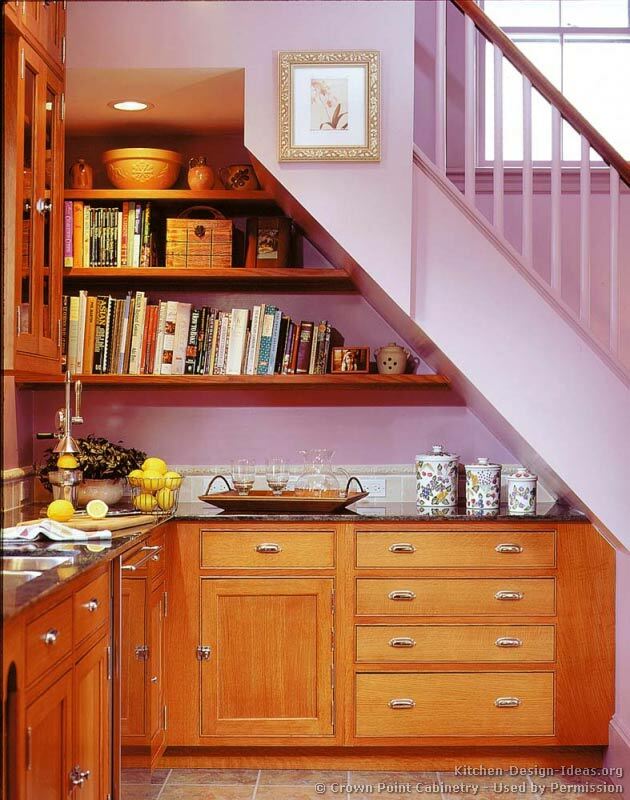 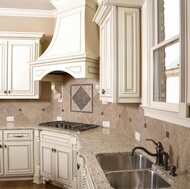 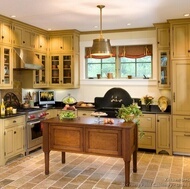 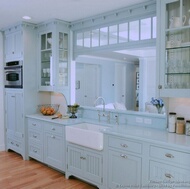 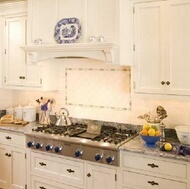 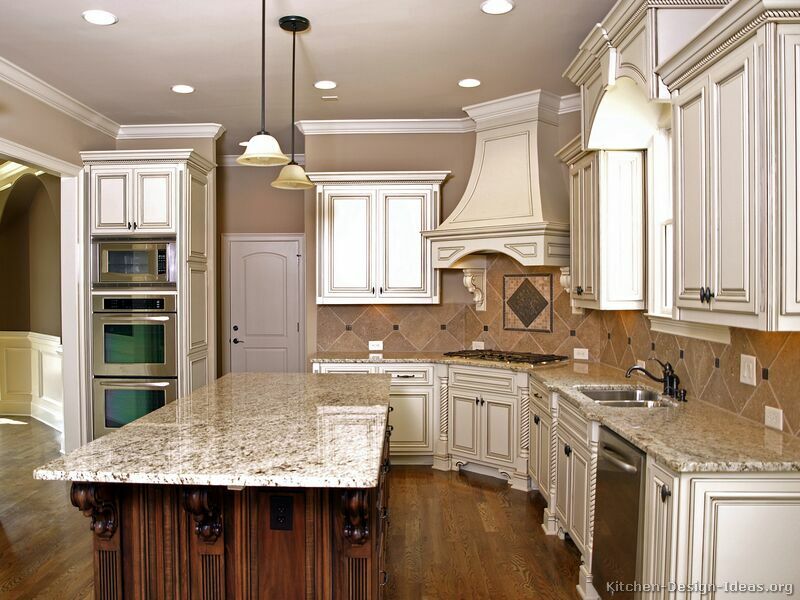 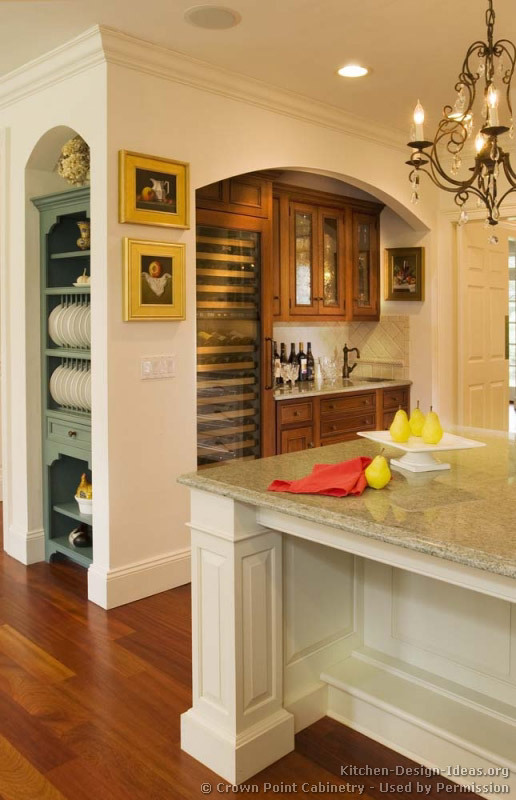 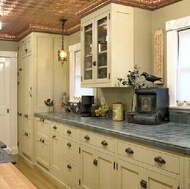 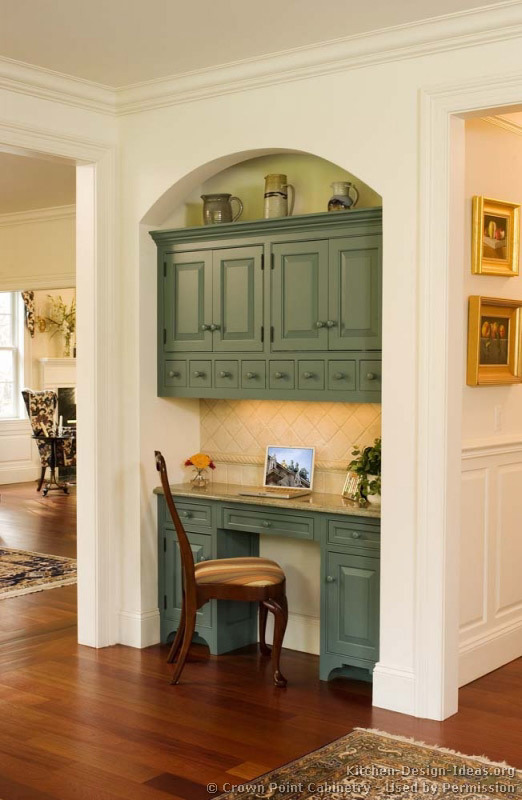 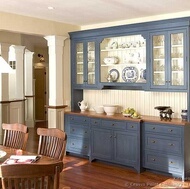 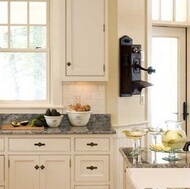 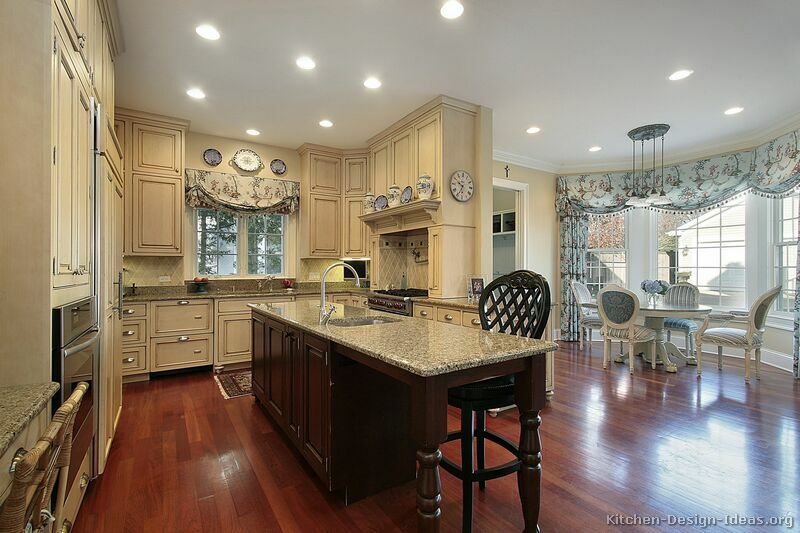 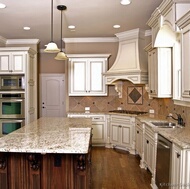 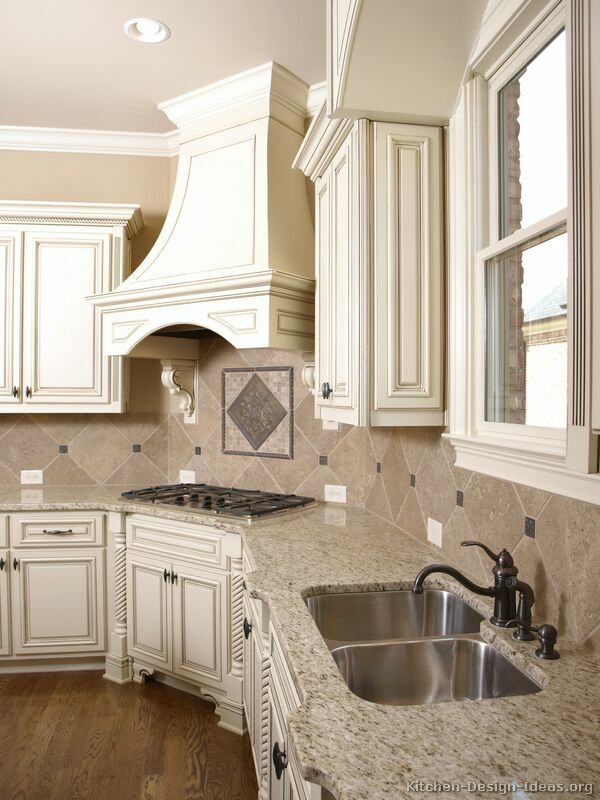 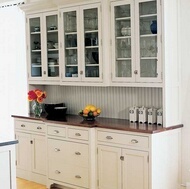 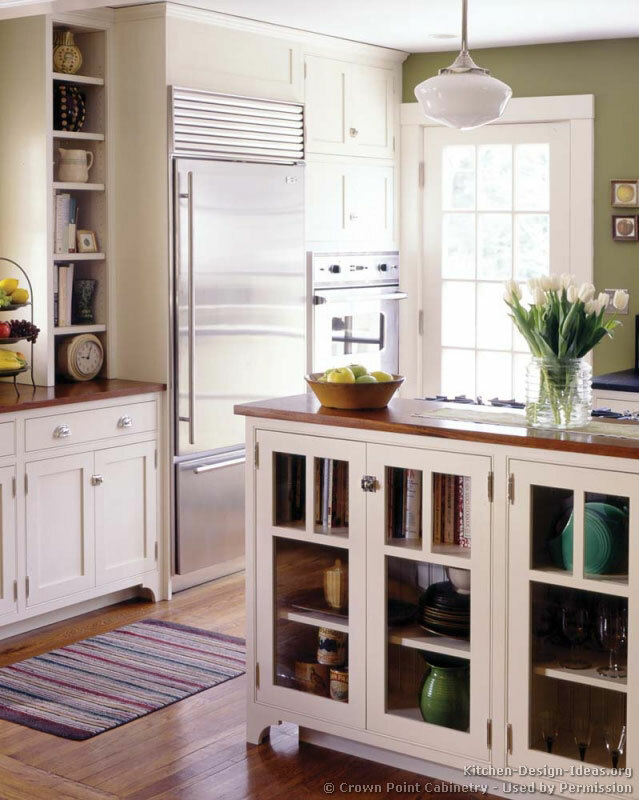 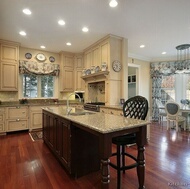 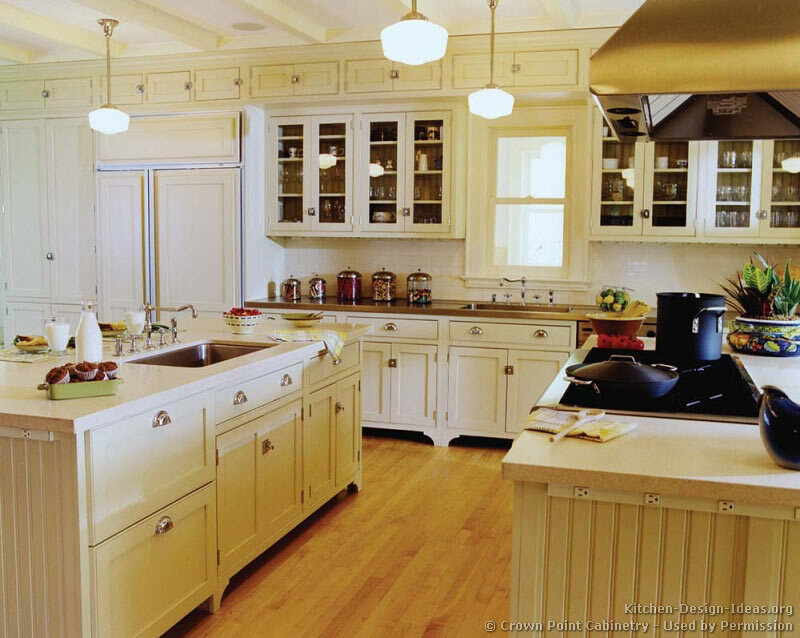 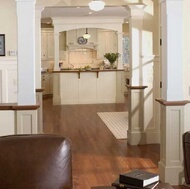 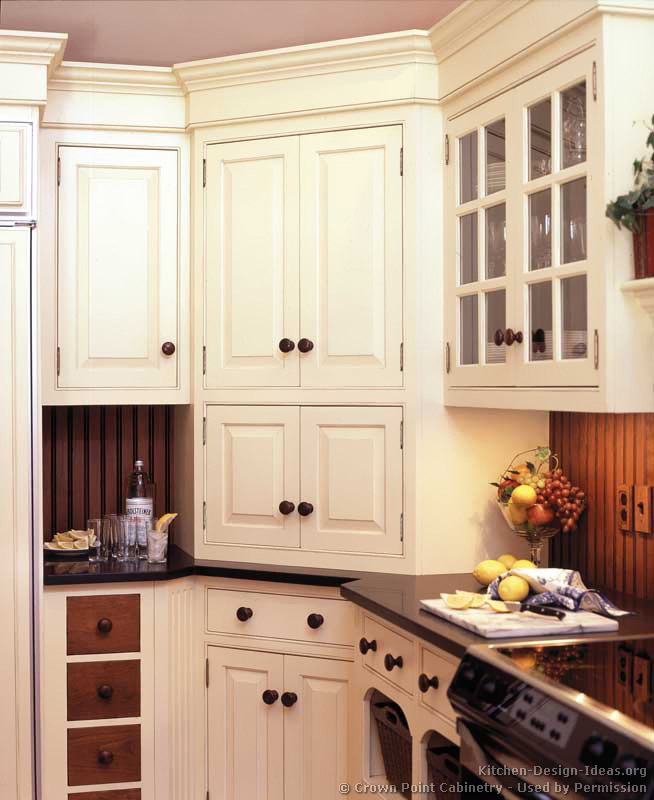 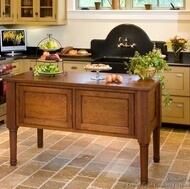 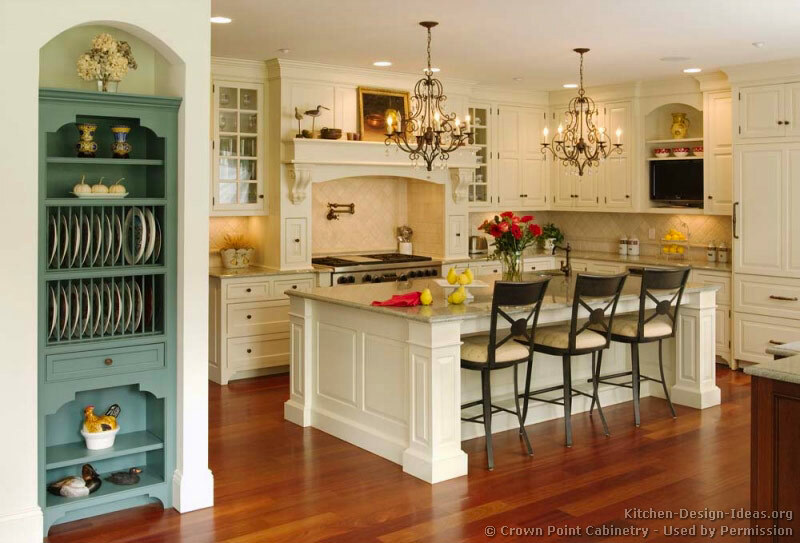 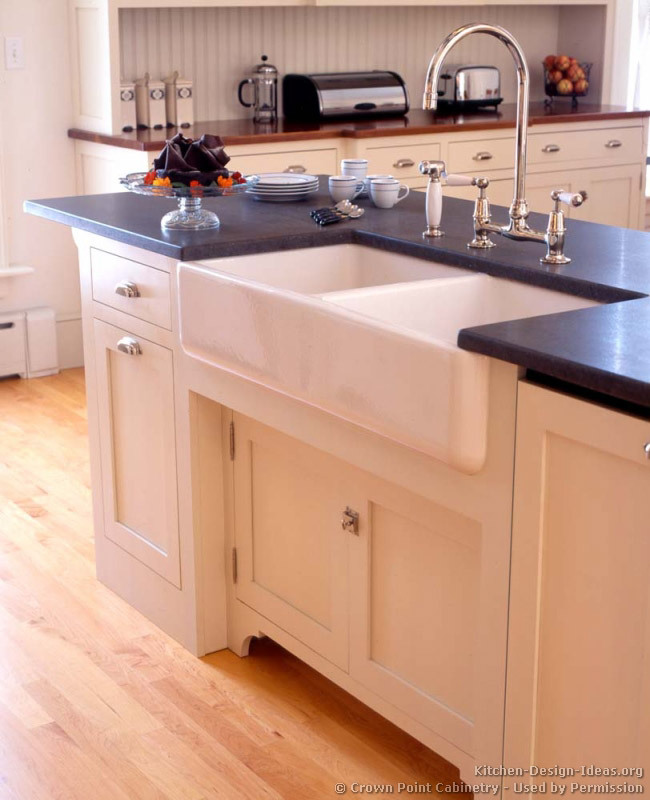 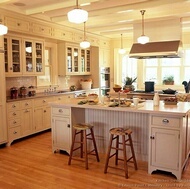 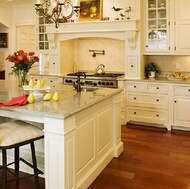 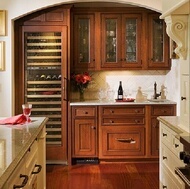 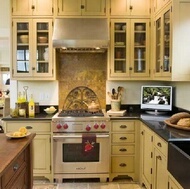 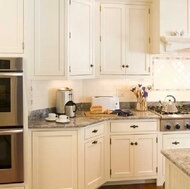 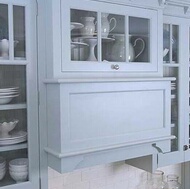 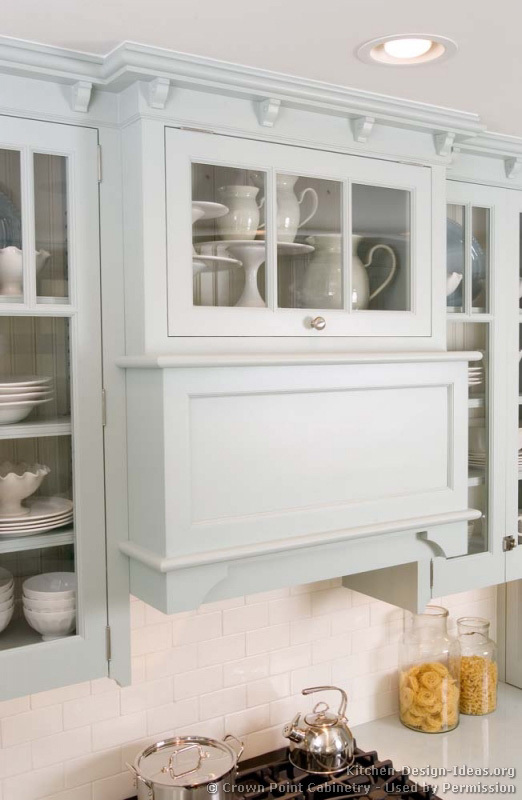 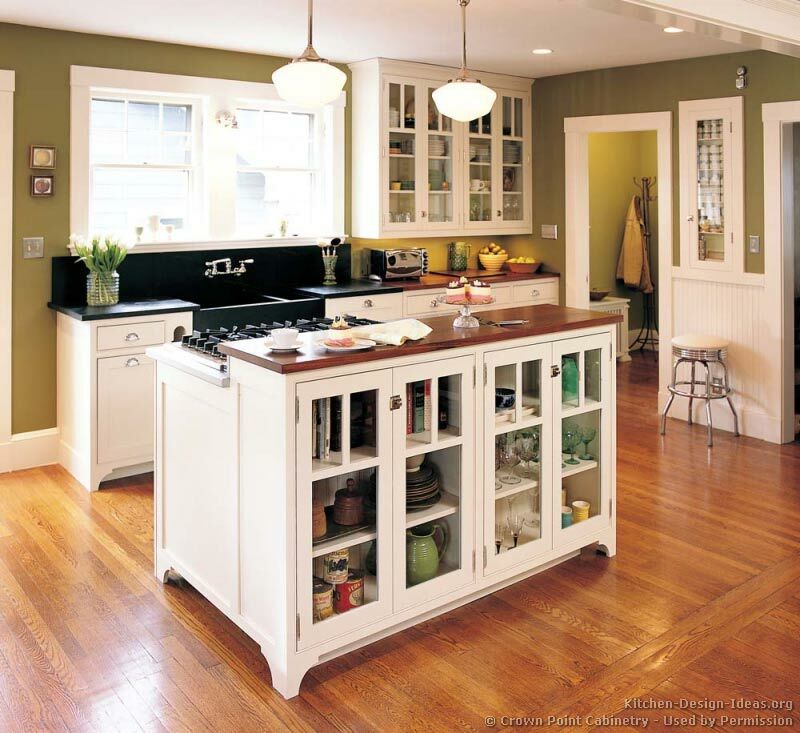 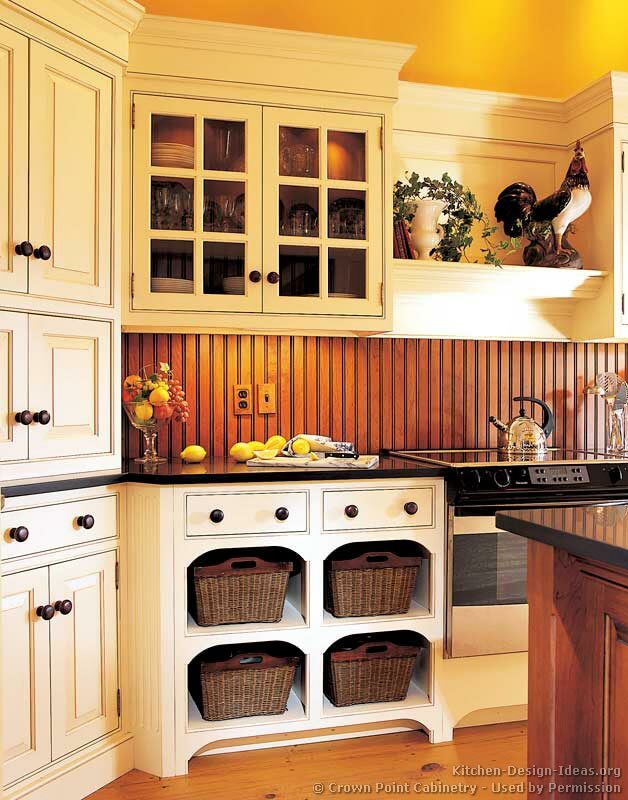 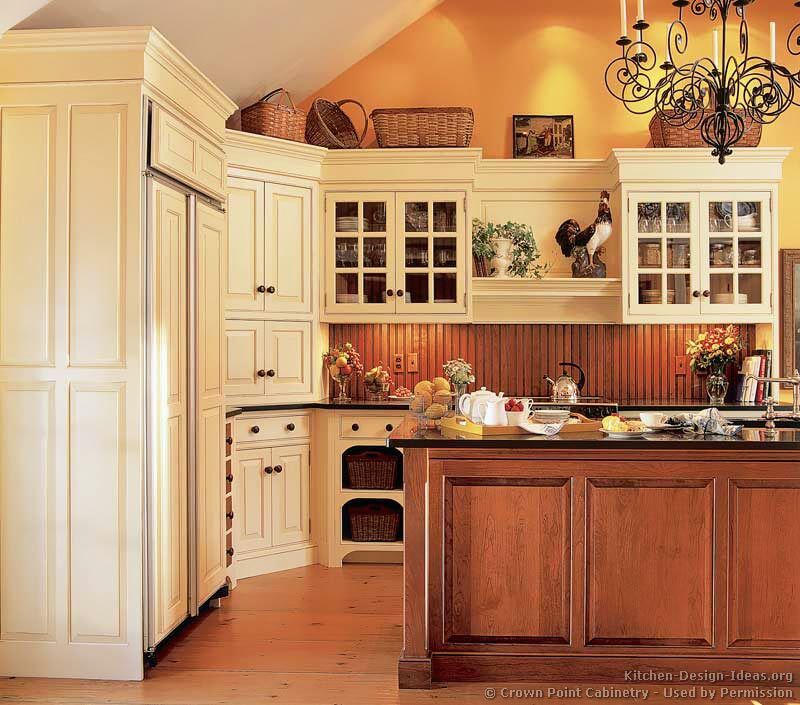 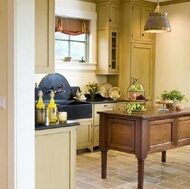 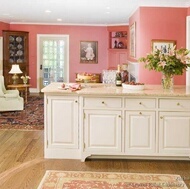 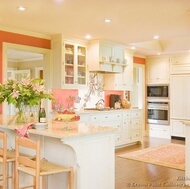 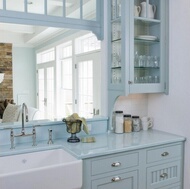 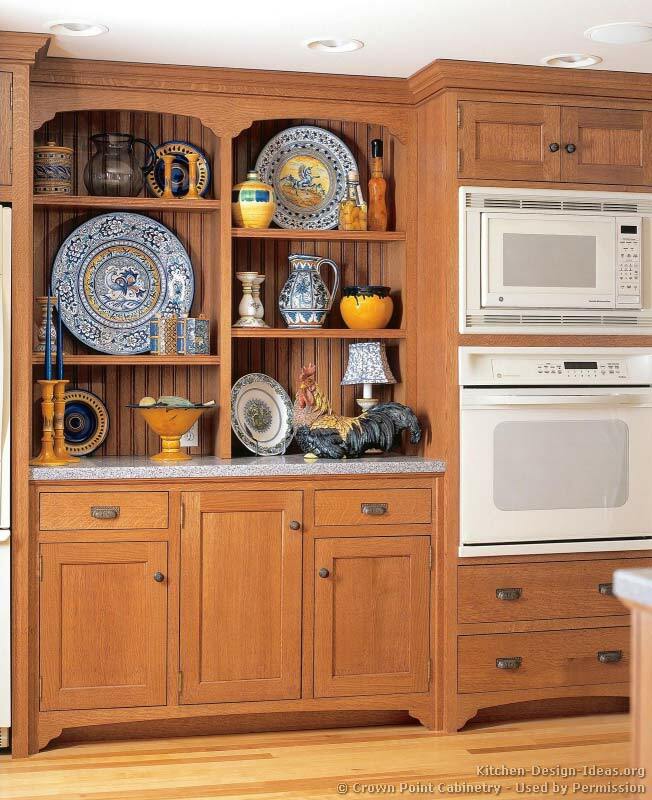 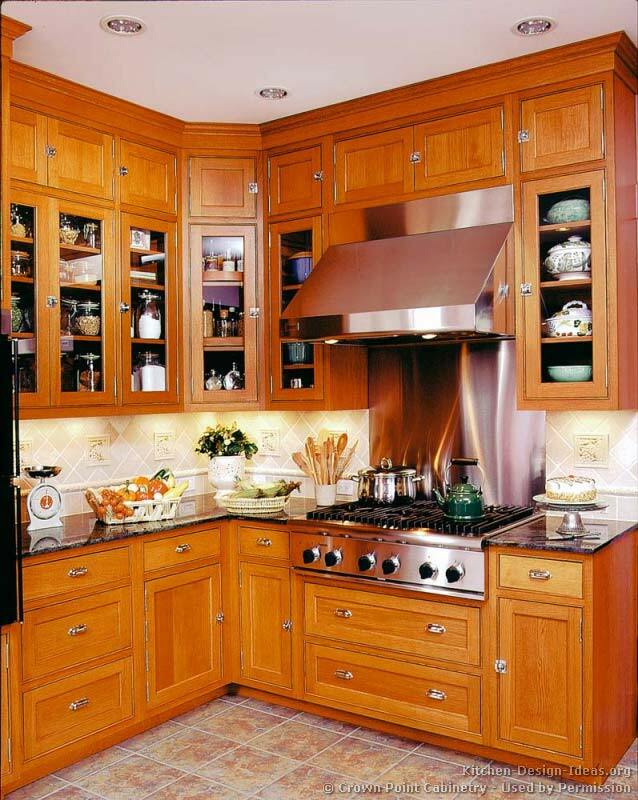 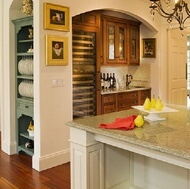 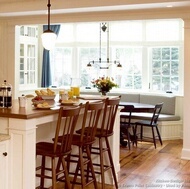 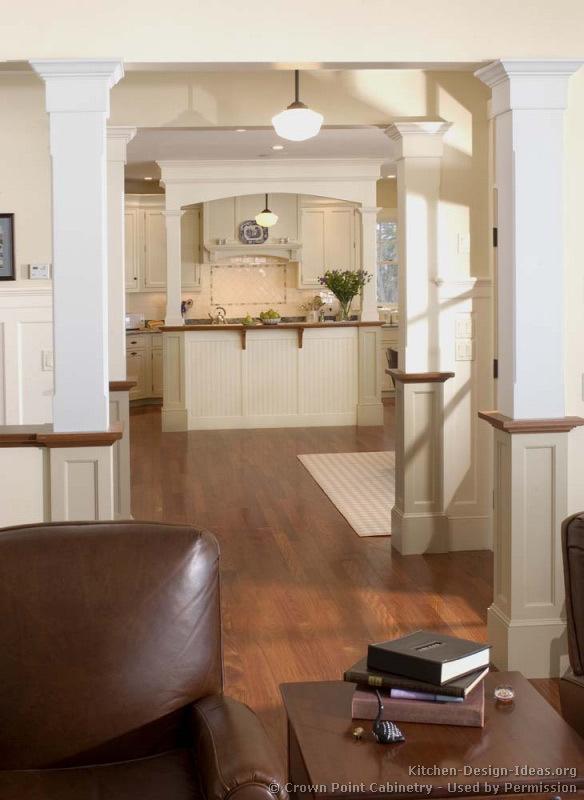 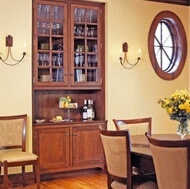 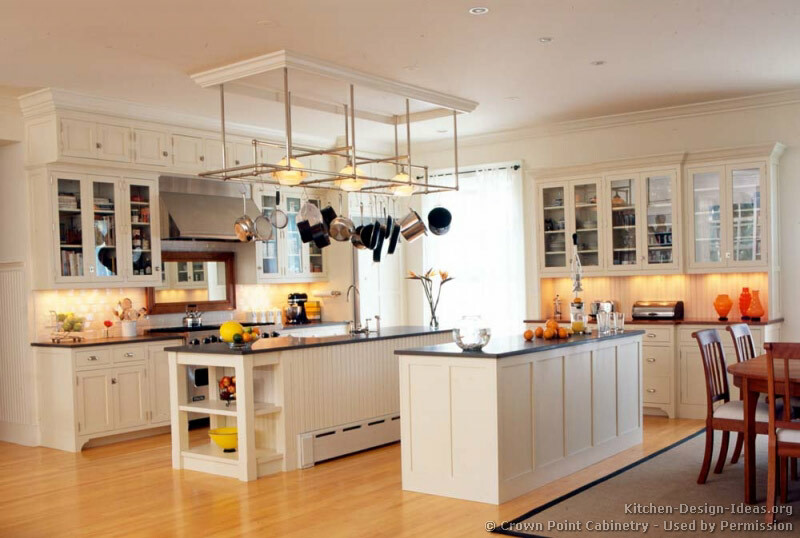 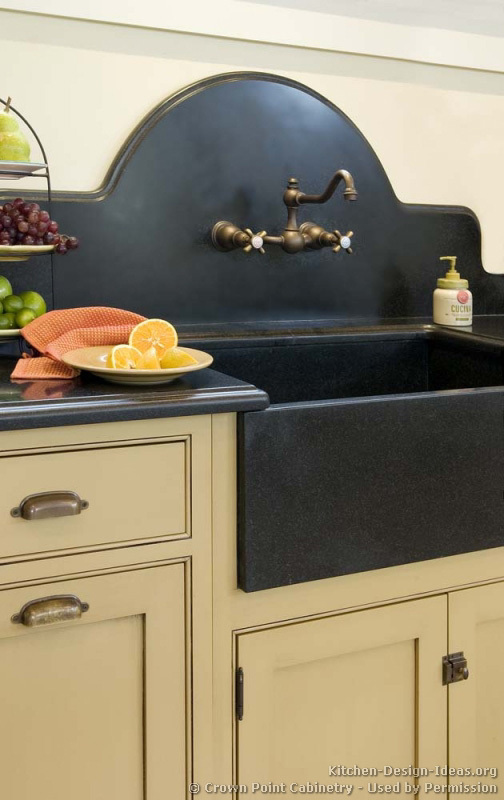 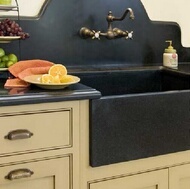 More Kitchen Styles: Return from Victorian Kitchens to Kitchen Cabinet Styles for more ideas and inspiration.